In 2003, the Goldman Sachs Global Economics Department predicted the economic and geopolitical influence of Brazil, Russia, India and China (the BRIC countries) would become increasingly visible in the developed world and even dominate it by 2050. In 2008, we reviewed the performance and economics of each country. 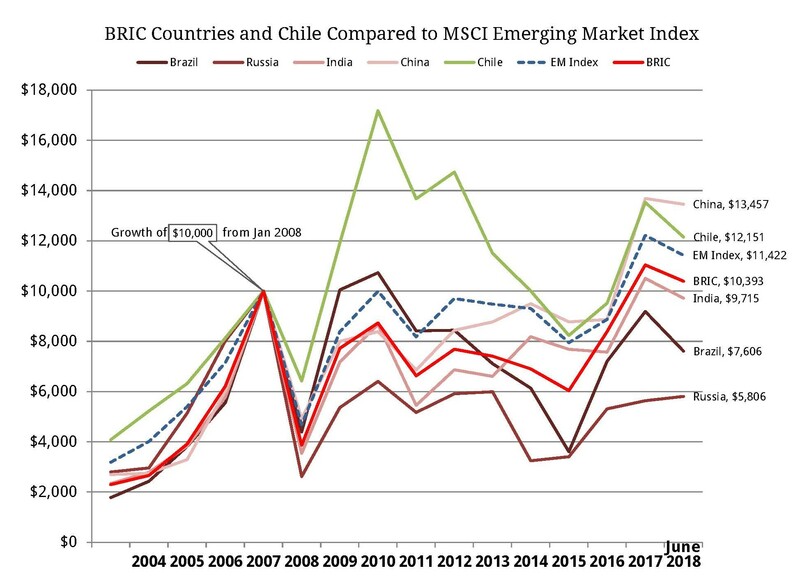 From 2003-2008, the BRIC subset beat the Emerging Markets Index annually by a whopping 11.07%. Our review was published a little over ten years ago on the eve of the 2008 Financial Crisis. We decided to review revisit these emerging market countries a decade latter to see how these investments fared during the ten and a half years starting at the beginning of 2008 and ending half way through 2018. Here is a chart showing the growth of $10,000 at the beginning of 2008 for some of these emerging market countries. When computing average index returns, the starting date is as important as the ending date. For the MSCI Emerging Markets Index, if you start at the beginning of 2008, it has averaged an annual appreciation of 1.27% over the past 10.5 years. If you start one year later at the beginning of 2009, it has average an annual appreciation of 9.84% over the past 9.5 years. This fact simply supports the principle that it is important to stay invested after a market drop. The beginning of 2009 might have seemed like a terrible time to be invested, but the MSCI Emerging Market Index appreciated 79.02% that year. For the past 5.5 years (1/1/2013 to 6/30/2018), the MSCI Emerging Markets Index had an average return of 3.02%. It had 6.03% for the past 3.5 years (1/1/2015 to 6/30/2018). These number may seem low, but that is because 2015 was another down year with emerging markets losing -14.60%. In the 2.5 years from the beginning of 2016, emerging markets have averaged 15.61%. All markets are inherently volatile, but emerging markets has an even greater volatility. The volatile assets in your portfolio can feel like they do nothing but go down. This is often just loss aversion which is the psychological effect that you feel the pain of a loss two and a half times as much as you enjoy gains. Low correlation and high volatility are the source of the rebalancing bonus. Thus, having assets with these two characteristics (low correlation and high volatility) may result in higher returns. An equal weight of the BRIC countries averaged an annual appreciation of 0.37% over the past 10.5 years starting at the beginning of 2008 (compared to 1.27% for the index) or 10.98% over the past 9.5 years starting at the beginning of 2009 (compared to 9.84% for the index). They also averaged an annual appreciation of 5.65% for the past 5.5 years (1/1/2013 to 6/30/2018; compared to 3.02% for the index) and 12.42% for the past 3.5 years (1/1/2015 to 6/30/2018; compared to 6.03% for the index). In other words, BRIC Countries have under performed the emerging market index over the past 10.5 years but performed better than the index recently and if you go back 14.5 years. MSCI Brazil Index has averaged an annual appreciation of -2.57% over the past 10.5 years starting at the beginning of 2008 or 5.95% over the past 9.5 years starting at the beginning of 2009. The resulting extreme inequity between the haves and the have-nots in Brazil motivates the latter group to seek relief politically. 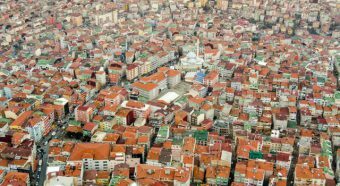 More than 30% of the population live below the poverty line and identify with the socialist and communist political parties. But as political activists press for more laws, opportunities increasingly open up for unequal application by corrupt officials. This blocks the development of commerce. A professional class of intermediaries is required to facilitate introductions and grease governmental red tape. Substituting personal relationships for the rule of law also creates instability, so entrepreneurs hesitate to take risks. As a result, a well-intentioned socialism actually helps perpetuate the opportunity for abuse and inequality. 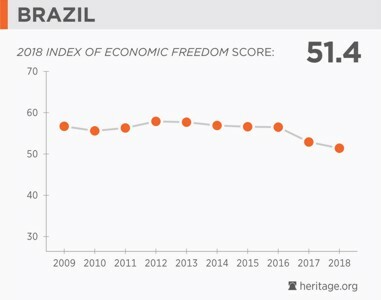 Although Brazil is still the freest of the BRIC countries, since 2008 Brazil’s Economic Freedom Score has dropped even further. Government spending increased the country’s debt from 52% of Brazil’s gross domestic product in 2013 to 74% in 2016. 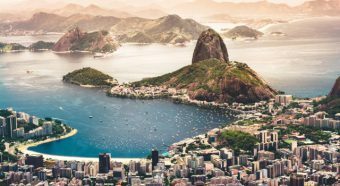 Brazil had an average return of -1.88% for the past 5.5 years (1/1/2013 to 6/30/2018) and 6.35% for the past 3.5 years (1/1/2015 to 6/30/2018). We suggest you limit any assets invested in Russia to a very small portion of your emerging market allocation. Over the past 10.5 years MSCI Russia Index has averaged an annual appreciation of -5.05% and over the past 5.5 years -0.33%. On the other hand over the past 9.5 years it has averaged 8.75% and over the past 3.5 years 18.10%. MSCI India Index has averaged an annual appreciation of -0.27% over the past 10.5 years starting at the beginning of 2008 or 11.22% over the past 9.5 years starting at the beginning of 2009. And the MSCI India Index has had an average return of 6.51% for the past 5.5 years (1/1/2013 to 6/30/2018) and 5.04% for the past 3.5 years (1/1/2015 to 6/30/2018). 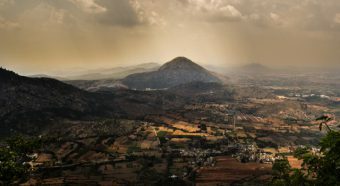 The Indian economy has many government interests that fight against any reduction of regulations and work to pull down any efforts to increase economic freedom. The best check on greedy people certainly is not to create a whole caste system of government bureaucrats and then tempt them with an overabundance of laws to enforce subjectively. The greedy business man seeking to increase his own wealth and power is a common theme in movies and literature. The government bureaucrats protecting his own influence and power is a much more common theme in real life. Voters routinely under estimate the powerful influence of rent-seeking to produce the negative results of a helicopter government. And since these incentives pull societies toward less economic freedom it takes a powerful citizenry committed to advancing freedom simply to hold the status quo. MSCI China Index has averaged an annual appreciation of 2.87% over the past 10.5 years starting at the beginning of 2008 or 11.18% over the past 9.5 years starting at the beginning of 2009. And MSCI China Index has an average return of 8.86% for the past 5.5 years (1/1/2013 to 6/30/2018) and 10.47% for the past 3.5 years (1/1/2015 to 6/30/2018). Since Deng Xiaoping that is exactly what has happened. 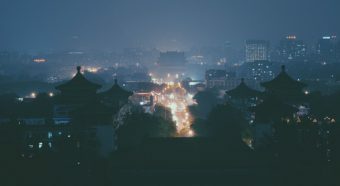 China has developed into a small privileged minority who are allowed to compete in a free market and a large majority working as inexpensive labor. Because of China’s population if the small minority engaged in capitalism is just 10% of China’s population, it is larger than all the full time employees working in the United States. Of all tyrannies a tyranny sincerely exercised for the good of its victims may be the most oppressive. It may be better to live under robber barons than under omnipotent moral busybodies. The robber baron’s cruelty may sometimes sleep, his cupidity may at some point be satiated; but those who torment us for our own good will torment us without end for they do so with the approval of their own conscience. The Chinese economy benefits from a compliant and inexpensive work force even if only a small percentage of the elite in China benefit from the economy. Most of the benefit of investing in the emerging markets is a result of having inexpensive labor costs. For this reason most of the manufacturing in the world is done in the emerging markets. As a country’s workforce’s standard of living rises labor costs rise and manufacturing shrinks as a percentage of the country’s gross national product. As a country’s standard of living rises more of its workforce is working in services. 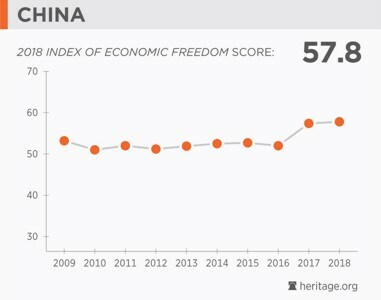 Economic freedom also becomes more important to the country’s success. Countries continue to move out of the emerging markets and into the developed markets. Other countries move into the emerging markets from the frontier markets. The list of countries in the emerging markets gradually changes and is slightly different between the MSCI Emerging Markets Index and the FTSE Emerging Markets Index. Ten years ago Turkey and Eastern Europe were part of the frontier markets (also called “pre-emerging markets”), but now Turkey is in the FTSE Emerging markets while Croatia, Estonia, Latvia, Lithuania, Republic of Macedonia, Romania, and Serbia are still classified as frontier markets by FTSE. The largest frontier market ETF is the iShares MSCI Frontier 100 ETF (FM) with a five year return of 4.14% compared to the 4.42% five year return of the iShares MSCI Emerging Markets ETF (EEM). While there is nothing wrong with investing in the frontier markets, the 0.69% expense ratio of FM makes it a less attractive option. 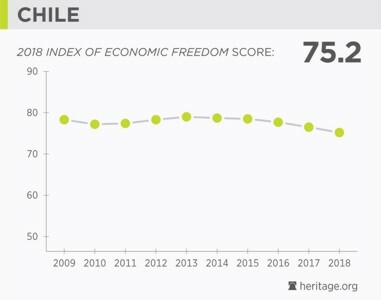 Chile is one of the few emerging market countries which is also relatively high in economic freedom. Although Chile is a small economy, we invest a portion of our foreign stock allocation specifically to Chile and as a result I thought it was worth including in this article. In January of 2016 we wrote the article “Why Invest In Chile?” after the Chilean markets had experienced a -50.64% drop over the previous five years. Our analysis showed that while the drop was unfortunate, portfolios that included Chile had still been both more profitable and less volatile. Our defense of Chile was justified as Chile appreciated 17.98% in 2016 and then a whopping 42.89% in 2017. MSCI Chile Index has averaged an annual appreciation of 1.87% over the past 10.5 years starting at the beginning of 2008 or 6.94% over the past 9.5 years starting at the beginning of 2009. And MSCI Chile Index has an average return of -3.45% for the past 5.5 years (1/1/2013 to 6/30/2018) and 5.72% for the past 3.5 years (1/1/2015 to 6/30/2018). While all of these returns include the market declines of 2013-2015, the three year returns from 6/30/2015 through 6/302018 have averaged 28.19%. While the emerging markets as a whole have not had the best decade of returns, historically this is a good category for a portion of your portfolio. Additionally we believe that the emerging markets as a whole currently have a favorable forward price to earnings ratio. While the BRIC countries represent about 58% of the FTSE Emerging Markets Index, we don’t believe that there is any advantage to over weighting these four countries. It would be more advantageous to invest according to factors such as small, value, freedom, or forward P/E ratio. And while we are open to finding a low-cost exchange traded fund that blends companies in the emerging markets according to proven factors, the 0.13% expense ratio of Schwab Emerging Markets Equity ETF (SCHE) and the 0.14% expense ratio of Vanguard FTSE Emerging Markets ETF (VWO) make those ETFs affordable attractive options. One area where Brazil has excelled is making headway toward energy independence. Russia never really tried free markets. 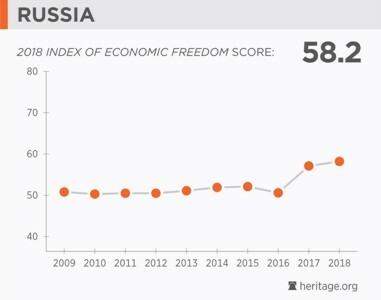 Rated at just below 50% free, Russia is considered repressed. Free markets thrive when a country guarantees property rights and the rule of law. China possesses neither of these. 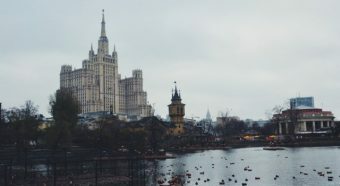 Eastern European countries have been struggling out of the darkness of communist rule into the light of free markets.